Product prices and availability are accurate as of 2019-04-16 19:15:28 UTC and are subject to change. Any price and availability information displayed on http://www.amazon.com/ at the time of purchase will apply to the purchase of this product. Bruce 32 oz. No-wax hardwood floor cleaner lifts soil from the surface of the Urethane finish without leaving a film. Use this liquid cleaner for overall cleaning or spot cleaning. Superior craftsmanship and state-of-the-art finishes assure you will spend your time enjoying your new floor, not caring for it. 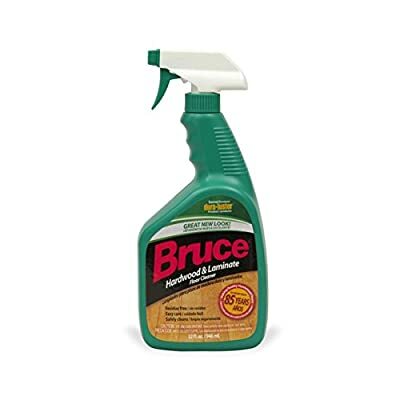 Simple vacuuming and an occasional cleaning as needed with Bruce hardwood and laminate floor cleaner will keep it looking like new.